A restaurant with a view can take a dining experience from mediocre to magnificent: giving it that lift that makes it a life-long memorable meal. Whether you’re looking out over a city’s silhouette, the glittering coastline or acres of rolling countryside, check out some of the world’s best restaurants with views, for memories that last long after your plate is cleared. 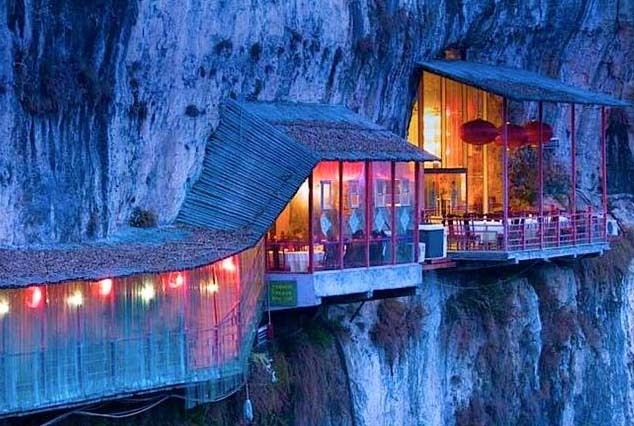 It is one of the world’s most unique and beautiful locations for a restaurant; a place for spending holiday. The restaurant combines local spices, flavors and foods from the sea and / land. It sometimes presents familiar dishes with a twist, new style, organization, and a local taste. 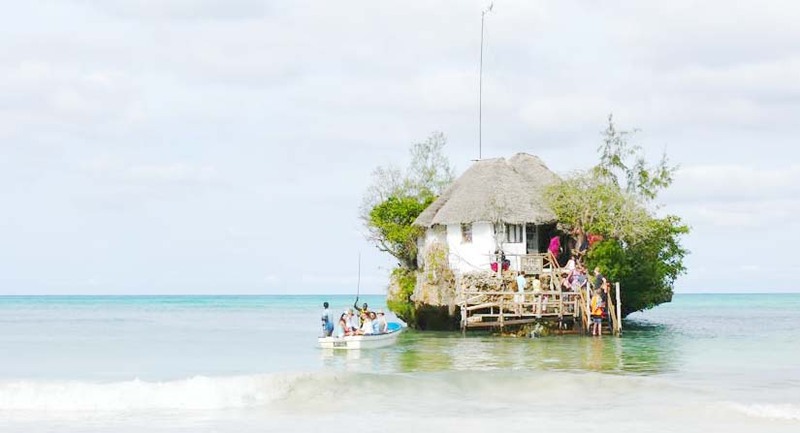 Depending on the tide, tourists can see 360-degree ocean view or half ocean and half white sand beach. 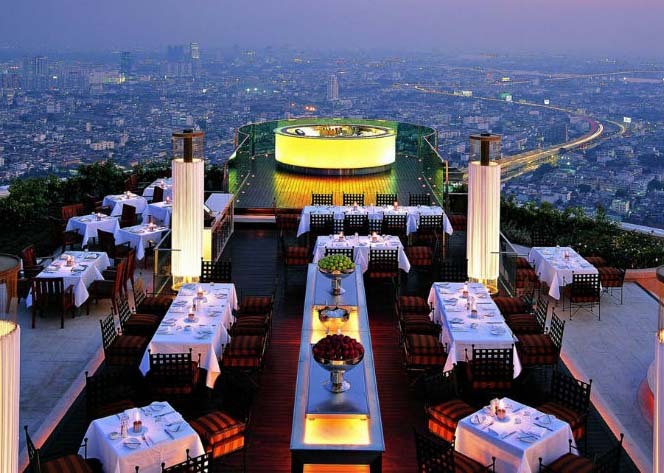 Located in Bangkok, the Leuba restaurant is at top in the list of hotels in Bangkok. Known as “the most stunning rooftop bar you’ll ever see” by The New York Times in 2013is one of the 1,000 best restaurants in the world. It is located in Üsküdar, 150-200 meters out of Salacak, Istanbul. 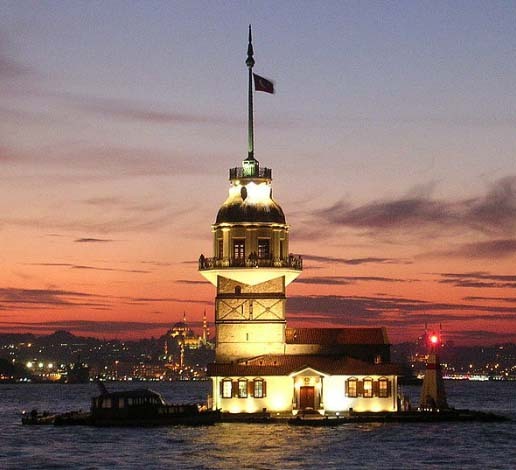 There is no definite information about when the Maiden’s Tower was built, some sources suggest that the tower’s construction process dates back to around BC. 341 in the area. It is one of the amazing and mysterious tower of the world. Fangweng Restaurant is situated near the famous Travelers’ Cave, also famous for “unique cave restaurant on the world”. This is located in the cave along the riverside. From one side customers can view the of flowing water of Yangtze River. A bungee jumping platform is also available. 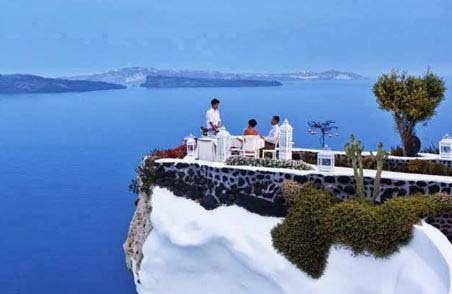 Located in Fira, Santorini 847 00, Greece it is also known as the Volcano view hotel. One of the best holiday destinations you should not miss to visit !